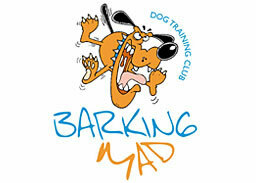 Barking Mad Dog Training Club was established in Bury St Edmunds in 1992 by Steve Telfer. Steve has been working with dogs since 1983 and helps pet dog owners train and work happily with their animals. Problem Dog? No Problem! 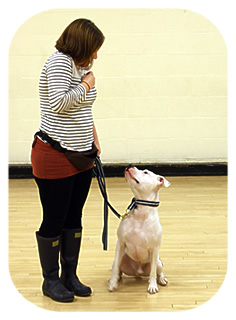 Our experienced and confident instructors are able to deal with any problem dog. 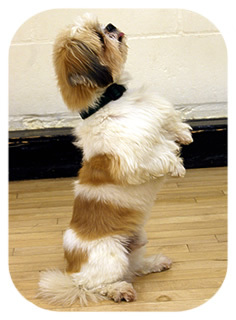 We have successfully trained a variety of dogs, from the aggressive to the incessantly barking. We never turn a dog away. So, if your dog is a handful, bring it along to Barking Mad and we’ll help you out. At Barking Mad, we don’t run fixed length courses — you can train as little or as much as you want in an enjoyable and non-violent environment. Classes are held every Thursday evening from 7.20pm at Risby Village Hall. There’s no need to book in advance; just turn up at 7pm to register. Please remember to bring a suitable collar and lead and your dog’s up-to-date vaccination card.